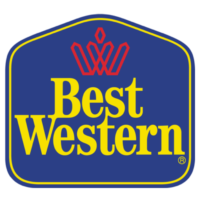 Best Western International, Inc. is a hotel brand that operates Best Western, Best Western Plus, Best Western Premiere, Best Western Plus Executive Residency, Vib, and BW Premier Collection. The corporation runs over 4000 locations worldwide. You can find a link to get a Best Western application by going through the application links at the bottom. The company was founded in California in 1946 by M.K. Guertin. The chain developed over time from small, independently owned hotels that were promoting each other through referrals. The privately owned company is now a marketing cooperative. It is headquartered in Phoenix, Arizona, and its CEO and President is David Kong. The business has expanded globally to the United Kingdom, most of Europe, Australia, New Zealand, Burma, India, Japan, Thailand, Mexico, Central America, Brazil, Venezuela, Israel, Botswana, Zimbabwe and South Africa. The company is currently one of the largest chains in the hospitality industry in the world, and is still growing. The hotel chain supports members of its local communities worldwide through its charity, Best Western for A Better World. The business partners with other charities to help families and children in impoverished areas through its Better World Fund, poverty relief efforts, disaster aid, and educational scholarships. The company accepts donations through its website. Corporate level careers are posted on the company website. You can use the online application process to apply for positions such as IT Engineer – Java, Review Architect, IT Business Analyst – Quality Assurance, Revenue Management Director, Regional Revenue Manager, Java Developer, IT Security Architect, IT Service Management Analyst, IT Engineer – Desktop, Infrastructure Services Senior Manager, and Hospitality management Trainer. Hotel jobs opportunities available on the website include Room Attendant, Housekeeper, Laundry Attendant, Executive Housekeeper, Front Desk Agent, Front Desk Supervisor, Front Office Manager, Guest Services Representative, Auditor, Shift Leader, General Manager, Assistant General Manager, Food & Beverage Supervisor, Bookkeeper, Part Time Night Audit, Sales Coordinator, Sales Manager, Director of Sales & Marketing, Chief Engineer, Maintenance Engineer, Maintenance Assistant, Security, Parking Attendant/Valet Parking, and Shuttle Driver. How old do you have to be to work at Best Western? You must be 16 to work at Best Western. Most jobs, other than housekeeping, will require at least a high school diploma. Read the job descriptions carefully when you fill out applications for Best Western jobs at the website. The company provides benefits from the first day of employment to people who work at least 30 hours per week, including health insurance, life insurance, 401(k), paid holidays, and more. Additional benefits come after several months. The hotels are open 24 hours, so working hours will vary by job description. Front Desk Agent – A Front Desk Agent takes reservations, takes payments, and checks hotel guests in and out of rooms. This is the member of the staff who will interact with guests the most. This person communicates guest needs and problems to other staff members, as needed. A high school diploma is required. Pay for this position ranges from minimum wage to about $12.00 per hour. Laundry Attendant – As a Laundry Attendant, you would wash, dry, and fold all of the towels, sheets, and other laundry generated by the operations of the hotel. This position requires a lot of standing and bending. You would not need a high school diploma to do this job, but you would need to be physically able to do the work. Pay for this position starts around minimum wage. Maintenance Engineer – A Maintenance Engineer maintains and repairs all of the mechanical and electrical components of the building and grounds. This person creates an engineering budget, and maintains the safety of the property. A high school diploma, maintenance skills, and the ability to lift 50 pounds are requirements. Pay for this position starts around $9.00 per hour, but can more than double. General Manager – The General Manager tracks sales numbers and inspects the hotel to ensure that everything and everyone is working properly. Responsibilities include marketing and budgeting. Cold calls and meeting attendance are part of the job. A bachelor’s degree, computer skills, and sales experience are requirements. Salary for this position is around $35,000 per year, on average. To work for us, you must undergo a drug screening. Are you all right with that? If you are not willing to undergo drug screening, you cannot work for the hotel chain. The company maintains a drug free work environment, and does conduct occasional drug screening of its staff, as well as people it’s considering hiring. Will we find out anything about you during our criminal background check that you would like to explain? All applicants who are seriously considered for employment with the hotel chain undergo a background check. The information might not preclude you from being hired. Your interview is your chance to explain yourself, if you need to. What relevant experience to you have to bring to the job you want? This business provides detailed job descriptions on its website. Make sure that you are fully qualified for any position that interests you before you fill out a Best Western application. Qualifications include educational level, work experience, and physical ability to perform required tasks. Do you have any experience with traveling and hotel stays? It is easier to understand excellent customer service and comfortable accommodations if you have personal experience, both good and bad. A lack of experience won’t prevent you from being hired, but personal knowledge will help you to stand out from other candidates. If a guest came to you with a complaint about their experience with our hotel, what would you do? This hotel chain thrives by treating its guests and staff like family. Your interviewer wants to hear that it would be important to you that guests are pleased and comfortable during their stay, and that you would do whatever you could to make that happen. You should dress very professionally to your interview for a career with this hospitality company. The business wishes to convey a very professional image. You won’t need a business suit to interview for entry-level positions, but you should try to look your best. You can apply for Best Western jobs online. If you would like to know how to apply for Best Western online, go to their website through the application links below. You will not be able to download application form or get a printable application form, but you can fill out a direct application for any position you want. Employment positions offered on the company website don’t all have the same application form. The company customizes each free application to the different Best Western jobs available. You will not be able to upload a resume, but you can copy and paste your resume and cover letter into the space provided. While there is no printable application for Best Western, you can apply online after browsing all of the available positions. To apply for jobs at Best Western, visit the website below. After you’ve chosen an offering, click on the link to apply and follow the instructions. The application process is customized to the different positions.